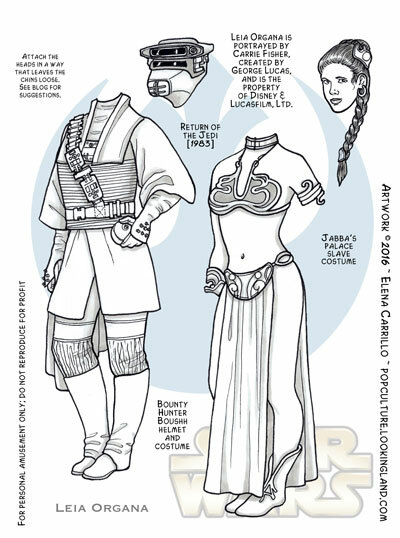 Our last entry for Force February includes Leia’s infamous (and controversial, these days) slave outfit. I think Carrie Fisher’s response to the controversy is the best. 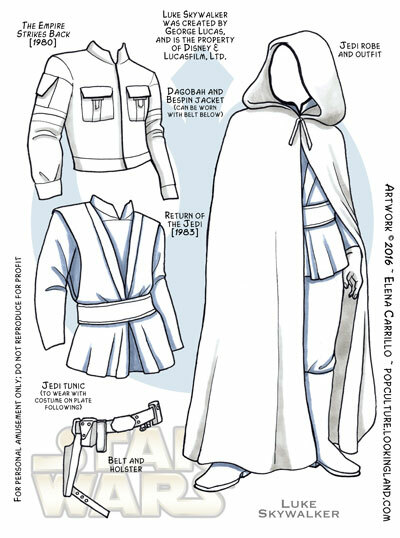 If you don’t know what to tell your kids about the costume, tell them what Leia herself would say. Ironically, this point seems lost on a lot of parents. 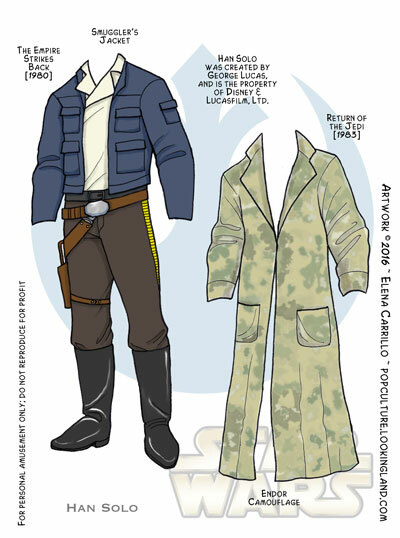 Or the fact that Leia Organa would never have worn an outfit like that, ever, given the choice. 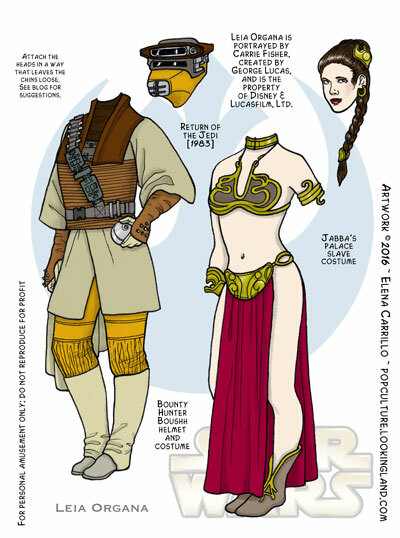 But anyway, the other costume on this plate is the antipode of the metal bikini: a costume that completely conceals Leia’s gender and identity, by transforming her in the bounty hunter called Boushh. Perhaps not surprisingly, as a kid I loved this costume. The fact that it was a disguise and that of a dangerous villain, no less! 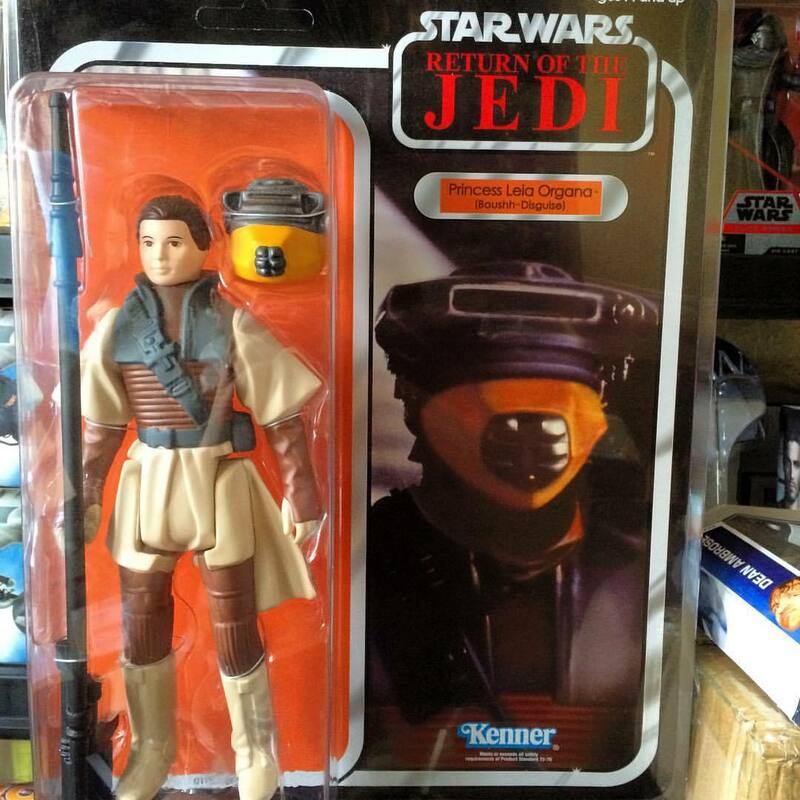 I loved Leia in it, and when Kenner made the toy of it with the removable helmet, that was my favorite action figure of all. 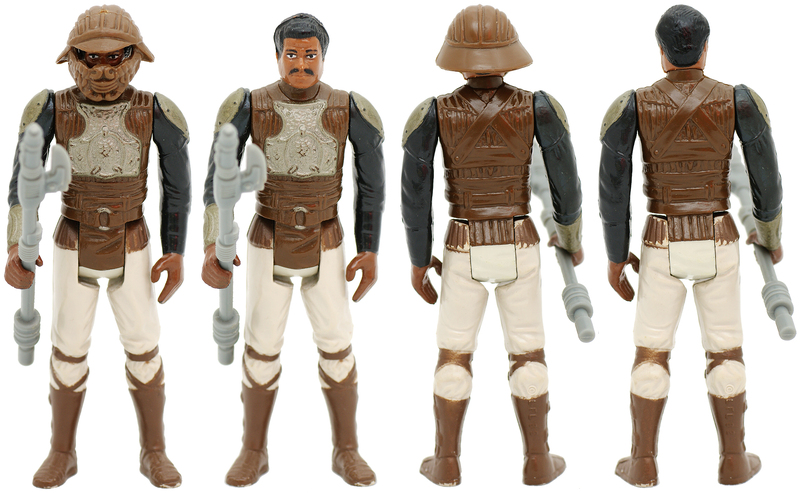 She had many, many adventures with Skiff Guard Lando, who was the sexiest man in the galaxy (at least in toyland–naturally, Han Solo occupied that place on the big screen). Played for hours with those toys. Just seeing those links with pictures of them brings back many happy memories! I had intended to draw the staff/weapon thing that Boushh carries into Jabba’s palace, but I got lazy (yet again~ ha!). I wish I had pushed myself a little more about it. I certainly had time to do it, but once I had passed it over, I kinda just let it go. But hey, at least she’s holding her thermal detonator, so extra points for that! So this is my final Force February post! What a crazy month it’s been. For all the posting I did, I actually feel like I’ve been nonetheless quite lazy about it given that I did so much of the original work back in January. I’m out of buffer, though, so this weekend is going to be an interesting race to pull stuff together for next week. Let’s see how it all falls out. Will likely post the last Luke and Leia plates on Friday, though, so for sure there’s that to look forward to! 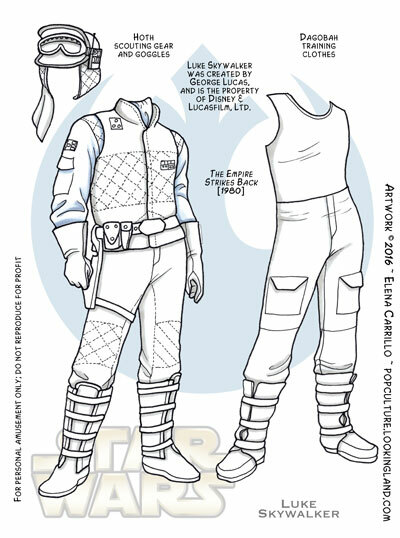 To see all Star Wars related posts and plates, click the tag or the category at right. Click the Leia Organa tag to see all of Leia’s plates. Judy Tuesday brings you a mix of sporting and visiting (?) attire today with a fancy shooting outfit for flushing partridge in the “Moors” apparently, as well as rather noisy costume of a variety of patterns called the “Gadabout”. Gadabout is one of those old-fangled words that unfortunately, has fallen out of usage. It was used to refer to people of somewhat hedonistic predispositions who spent all their time and energy lunching and gossiping and showing off their finery (so basically, the Kardashians). I actually love the Moors costume. I imagine the black contrasts to be velvet and I love the long gaiters with all the buttons. I would totally wear this outfit. 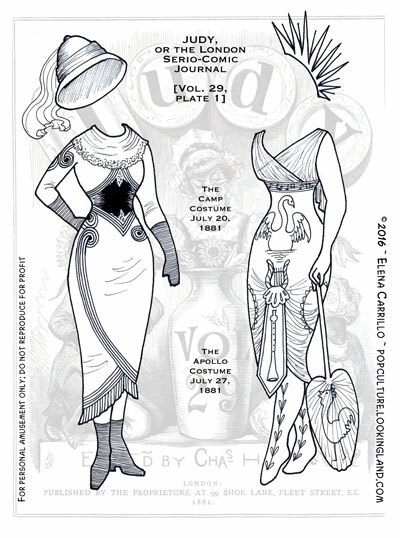 Judy’s gadabout ensemble, on the other hand is kind of a horror: a nightmare of lace and patterns designed to draw attention. I’m frankly surprised the hat wasn’t more outrageous. As usual, to find all the plates in this series (and the dolls themselves) click on the Judy tag down below. We round our week out with Leia (last, but never least!). And okay, so there was a wee little bit of white left, but mostly we’re in the color-zone now. 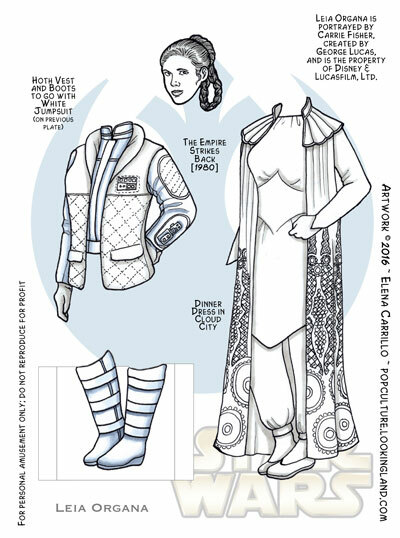 Leia’s Bespin “gown” was kind of a horror to draw. That pattern looks serviceable at a distance, but up close it’s quite a mess ~ ha! I had also planned to fade it out a bit in PhotoShop, but all attempts failed (translate: I made one attempt, it looked bad, and then I just got lazy about it). The best thing about this outfit is her hairstyle that goes with it (one of my favorites). 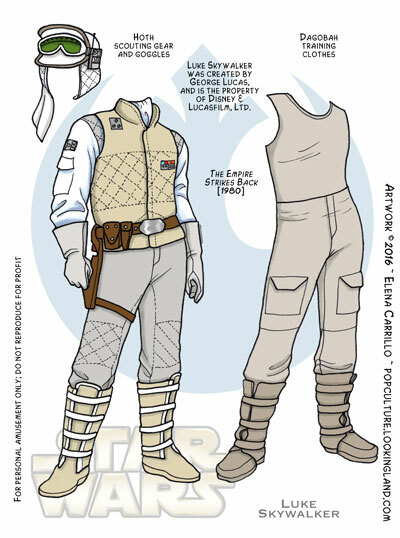 So instead, I direct your attention to Leia’s cool Hoth vest and boots! The Hoth toys wee seriously my favorite as a kid. If the whole saga had stayed on Hoth you would have heard no complaints from me. 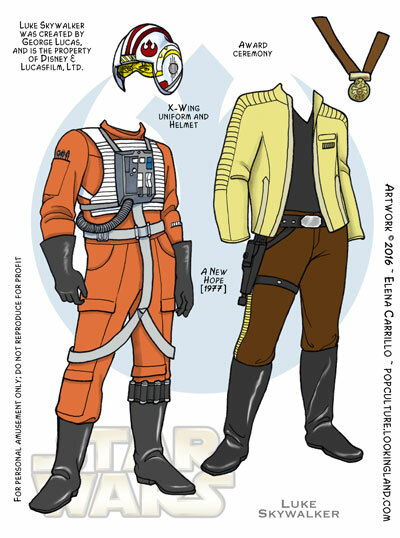 These two pieces go with the white Bespin outfit from Leia’s previous plate. 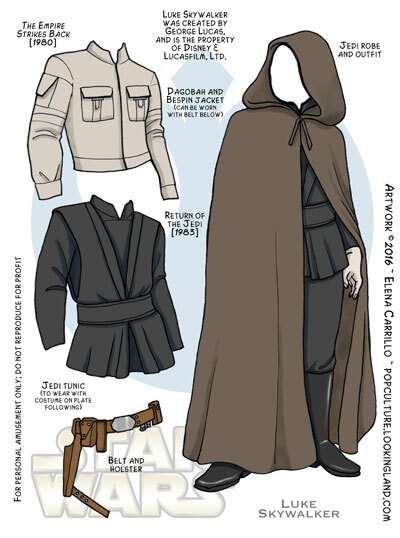 Unfortunately, with such a limited wardrobe, there are no mix-and-match options. 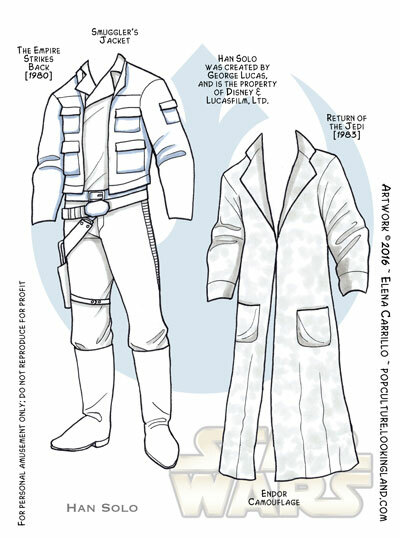 Leia does have her own comic book, so I have considered pulling some outfits out that, but I think she mostly wears the same thing (like a superhero–and of course it’s white), so we’ll see how things go. I was very glad they didn’t put her in white in The Force Awakens. 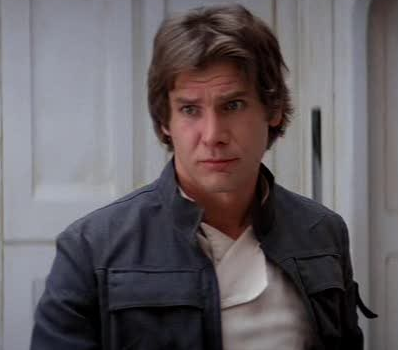 People tend to think of The Empire Stikes Back as the “one with the mush in it” because Han and Leia share their fist kiss (awww ~ that kind of makes me sad). It’s also the first time we see Leia with her hair somewhat down (literally and figuratively). Like Luke, I still have three more plates for Leia, but as I’m looking at them I’m seeing a bit of a problem with the layout for the last one, which I somehow managed to overlook. I tried to be very planful about this whole series so that I wouldn’t be scrounging, but of course I’m scrounging. It’s apparently my natural habitat. Hopefully I have enough time to sort it out before next week. With no more Han Solo plates, we’ll be doubling up on either Luke or Leia. I haven’t decided which. To see all Star Wars related posts and plates, click the tag or the category at right. 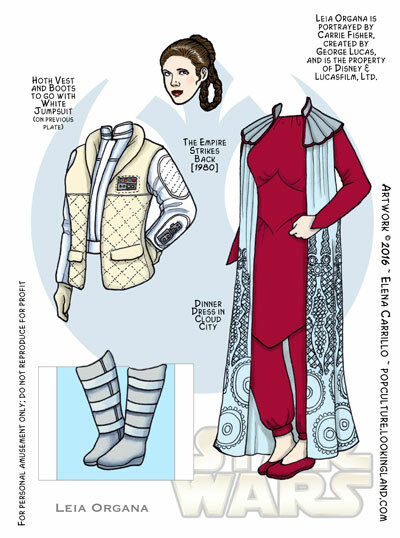 Click the Leia Organa tag to see all of Leia’s plates (this is the first). 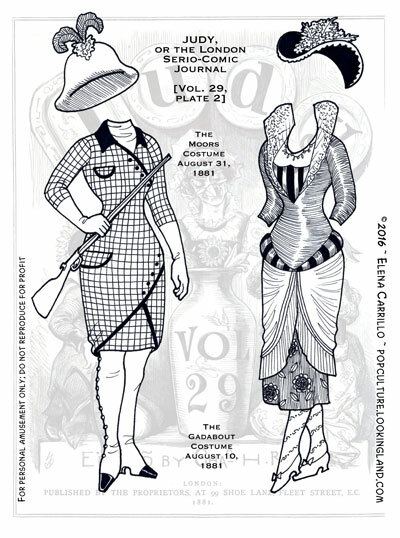 We have a brand new volume for Judy Tuesday starting today: Volume 29 from 1881. It’s a bit of leap from Vol. 25, but I did do a couple volumes in between with the older dolls. Now that I’m done playing “pick-up” with the lost volumes, everything from here on out should be relatively chronological. 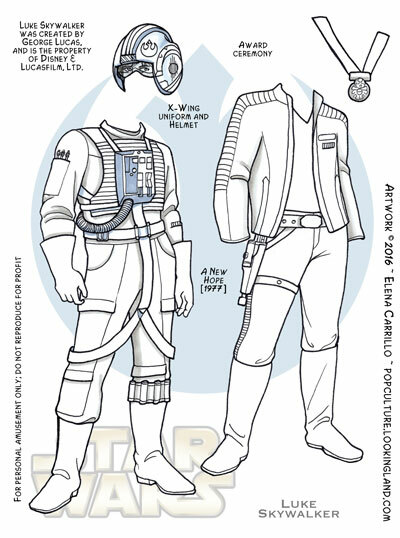 The “Camp” costume is pretty simple, but I really love it and had fun drawing the whorls. 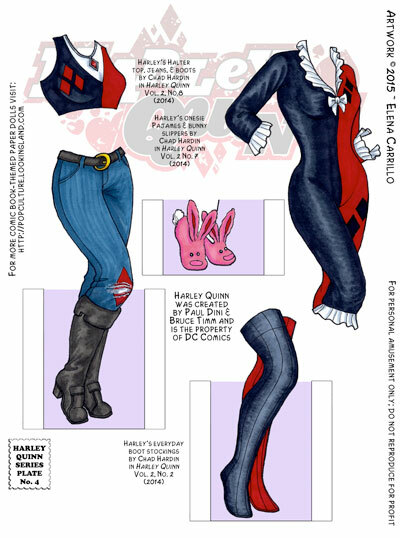 I find I like the Judy costumes that have more contrast and this one has a nice balance. The “Apollo” was quite beautiful in Chasemore’s original rendition, but I’m afraid I made a hash of it. And this was my second attempt ~ it’s the only Judy costume I’ve actually redrawn because my first go at it was dreadful. I confess that in the end, I just settled. And don’t even ask me how one is supposed to cut out that crazy sunburst hair dressing!